Paraguay’s government says it’s moving its embassy in Israel out of Jerusalem and back to Tel Aviv, less than four months after opening the new mission. Foreign Minister Luis Alberto Castiglioni announced Wednesday that the government had decided to take the action immediately. Former President Horacio Cartes this year made Paraguay only the third country to transfer its embassy to Jerusalem, opening the mission on May 21. But new President Mario Abdo Benitez opposed the shift. 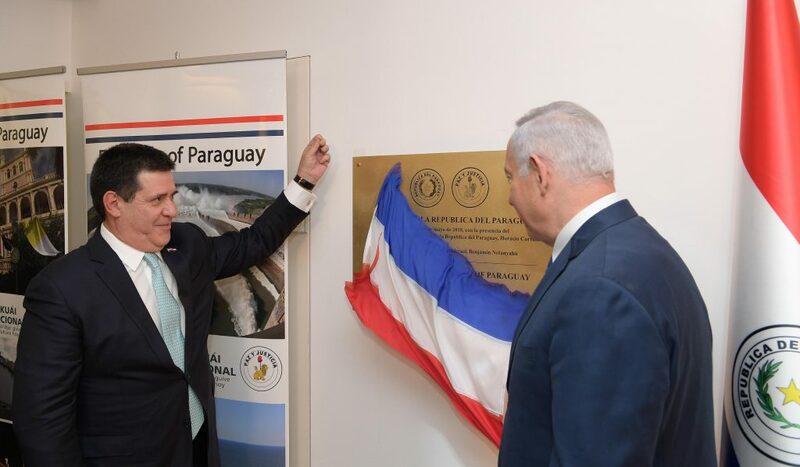 In response to the move, Israel said it was shuttering its embassy in Paraguay, saying ties between the countries would be “strained” by the decision. The Palestinian Foreign Ministry said Paraguay had pledged to return the embassy two weeks ago during a visit by Foreign Minister Riad al-Malki to the country.